One of the best times of the week for Black listeners and people who like Black programming on 94.1FM www.kpfa.org, is Monday nights, 7-10 p.m. That three-hour block of time is split between Walter Turner’s Africa Today and Greg Bridges’ Transitions on Traditions. Africa Today is a one-hour news magazine that is centered around issues on the continent of Africa, but due to a lack of national Black public affairs programming and public affairs from the diaspora on KPFA and in the Bay Area as a whole, its focus has been extended to include the whole African world. Transitions on Traditions is Africa Today’s musical counterpart. The two shows have been back to back for over a decade. Transitions is a journey through the sounds and music of the African world. It is also home to the Block Report every first and third Monday, which is the only regular segment on KPFA that talks about the issues of Black people nationally. 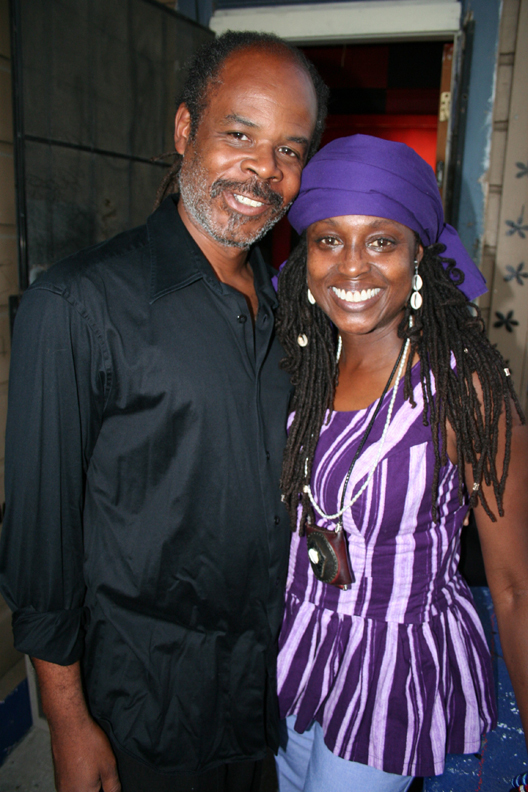 Greg Bridges, the producer of Transitions on Traditions, is also a well known and loved personality in the Bay Area who has hosted a number of events including the regular spoken word nights at the legendary and now defunct Jahva House. He is also the host of the Oakland Summer Concert Series in Arroyo Park and is a regular broadcaster on jazz radio station KCSM. He is responsible at least in part for spotlighting Bay Area talents like Dwayne Wiggins, Pop Life, Talaam Acey, Askari X, Scorpio Blues, Ner City, Mistah FAB and more. Check out what Greg Bridges has to say in his own words about Black programs being under fire at KPFA. And make sure you check out the new documentary, “Disappearing Voices: The Decline of Black Voices on the Radio,” on Tuesday, Aug. 17, 6:30 p.m., at the Black Dot Cafe, 1195 Pine St. in West Oakland. Hard Knock Radio’s Davey D will be in attendance for the Q&A. M.O.I. JR: Can you tell us a little bit about how you got into radio? Greg Bridges: I was the kid in the neighborhood with most of the latest music who’d make tapes for everybody; I always was into sharing my music that way. I’d always thought about a career in radio and started finding my way at Chabot College, where I programmed for both of the radio stations there. I moved on to San Jose State and was asked to be on their station after getting to know the program director. My professional radio career started in 1987 at KJAZ 92.7FM in Alameda. KJAZ was the nation’s first 24-hour commercial jazz station, and was one of only three stations that I wanted to work at. I was at KJAZ for nearly 10 years before that station was sold and changed formats. I’m currently at KCSM 91.1, where I’ve been since 1995, and KPFA, where I’ve been since 1998. M.O.I. JR: What year and how did Transitions on Traditions get started? How long has it been on Monday nights from 8 to 10 p.m.? Greg Bridges: I came to KPFA in ‘98 and started Transitions on Traditions then; the show has been on Mondays from 8 to 10 p.m. since its inception. M.O.I. JR: What is the concept behind Transitions on Traditions? Greg Bridges: When I started Transitions on Traditions, my thought was to present a show of Black music without separation. Although the show’s base is jazz, it also includes blues, spoken word, r&b, jazzy flavored hip hop, music from the continent of Africa. I also include a monthly holistic health segment called Treasured Health Gems and a bi-monthly segment of community and world news reports pertaining to Black communities from Block Report Radio. Another purpose of Transitions on Traditions is to introduce listeners to the world wide community of Black people and people of color who are artists, activists, authors and more through interviews and live performances. I titled the show Transitions on Traditions so it wouldn’t get pigeonholed in one particular category. M.O.I. JR: Why is KPFA trying to move the show? And what hardships would that create? 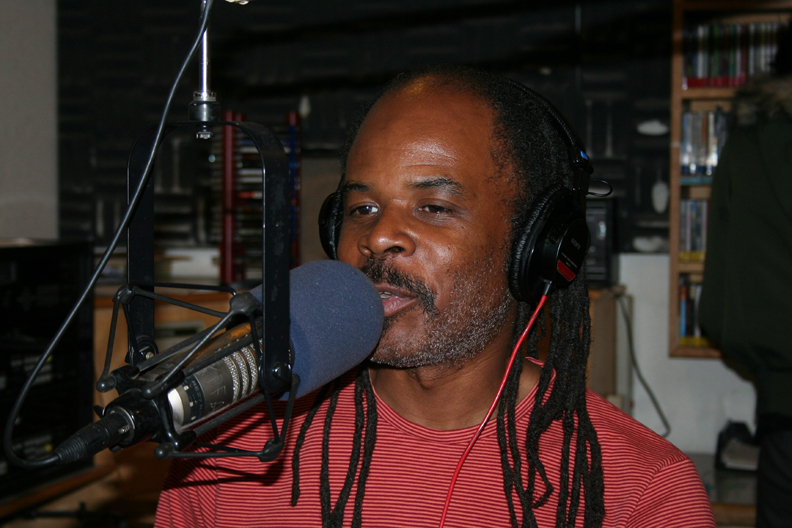 Greg Bridges: I’m really not clear on why KPFA wants to move the show to another time slot. The reason I was given is that the station wants to strengthen its Saturday programming by replacing one of the morning talk shows with music. How or why my show is the chosen show I’m still not clear on, and I don’t know who’s really making the decision. I’m not a person opposed to change if there’s logic attached to the change, but to change just for the sake of change is something I’m not with. This move would create a hardship for me. I’m usually working another gig until late hours Friday night into early Saturday morning, which would prevent me from putting together a consistent and coherent show for air Saturday mornings. This move would also interfere with scheduling of interviews and live performances. Over the years Transitions on Traditions has developed a loyal and consistent listening family on Monday nights, and that would surely be disrupted with a move to Saturday mornings. M.O.I. JR: Walter Turner’s Africa Today is also facing a similar fate. What has the community response been to theses suggested changes in the schedule? Greg Bridges: I really don’t see the logic in moving Africa Today with Walter Turner from the slot that it currently occupies. Walter and Africa Today has a devoted and worldwide listener base. During pledge drives he gets great financial support from the listeners. Many folks have already started writing letters of support for keeping Africa Today in the 7 p.m. Monday night slot that it’s been in for nearly two decades now; people are righteously pissed off that his show is facing the threat of a move. Walter and I have come to see our shows as complementary to each other: His news and information is often echoed in the music I choose when programming Transitions on Traditions. Frequently I fill in for him, playing music from the continent of Africa when he’s away. We’ve collaborated on a few memorable shows and are always looking for other ways and opportunities to work together. M.O.I. JR: How can people keep up with the fight to keep Transitions on Traditions on in its regular slot? Greg Bridges: Because there appear to be so many layers of “authority” at KPFA, it’s not always clear, even to station staff, who’s making the decisions. There isn’t an official Transitions on Transitions campaign, but it may definitely help to write the general manager and assistant general manager voicing any and all concerns and objections regarding a move: Interim General Manager Ahmad Anderson, ahmad@pacifica.org, (510) 849-2590, ext. 204, and Interim Assistant General Manager Amelia Gonzales, iagm@kpfa.org, (510) 848-6767, ext. 255 or 209. Keep listening to the show, and keep in mind that the dollar (and withheld dollar) does speak, especially to “non-profits,” so listener voices are listened to more intently during pledge drives.